If anyone hasn’t noticed yet reading this blog, I and my wife are amateur musicians. We’ve also released a short album that we’ve entirely written and recorded at home. For the most adventurous among you, it’s publicly available here. It features also the Fork-o-Drumbot in one song! So now we’d like to put up a show made only by the two of us. But we need additional instruments to give us the groove for the live performance. What’s better than a stompbox then? Well, a self-built one! Spoiler: if you want to know how this works, go on reading! This is the final result. If you want to know why I think this is a bit different than the other stompbox projects, just keep reading after the video. I used a piezo pickup. 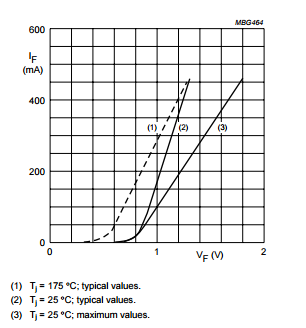 There are many piezo amplifiers designs out there in the internet. Some claim you can simply solder the audio cable to the pickup. That would kill all the bass frequencies because the cable will act like a resistance and the piezo has a significative capacitance = high pass filter. Discarding op-amp design, which may be great but add complexity, I stumbled into J-FET preamps like this one. So I decided to modify it for my needs. It is pretty simple. 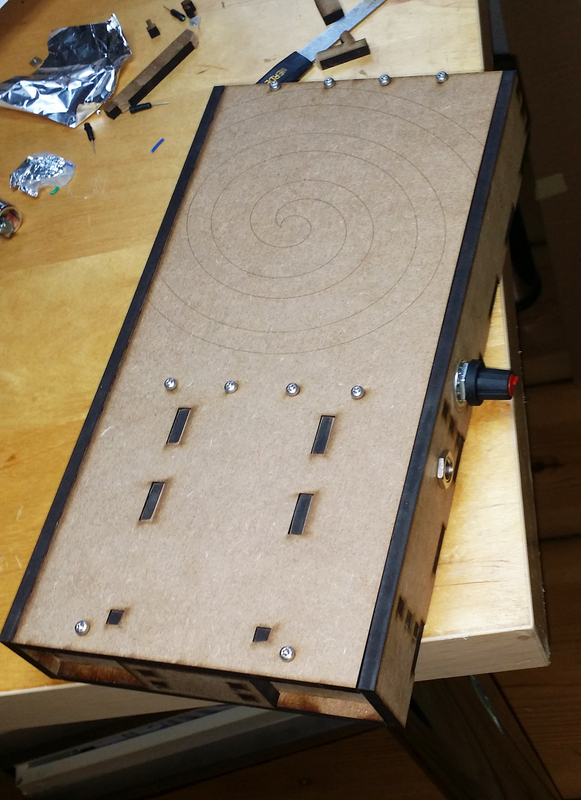 My target was to keep it simple but still have a good sound and a volume knob (I want to connect it to an amplifier for bass guitar). I played with resistor values until the output (positive terminal of C2) was almost half the voltage of the 9V supply. D1 and D2 where a late addition, and they work as a compressor (or better, a chopper), it will be better explained later. It’s an history of a few fails steps. 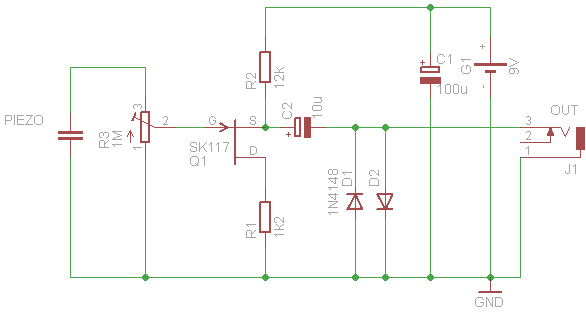 #1 Order components and mount circuit on the breadboard to find proper values for resistors etc. #2 The circuit works! Now we need an enclosure. A shielded one. 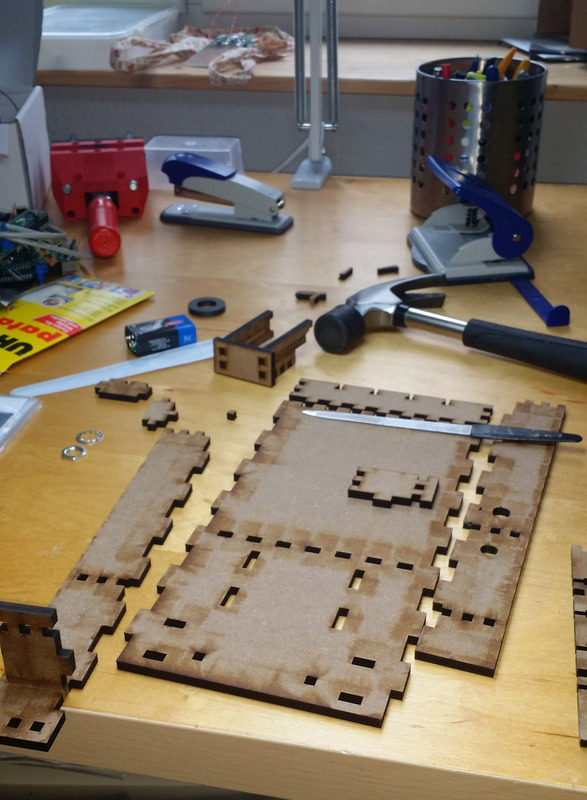 No wood around (or patience of waiting for a laser cut wooden box)… Cardboard! 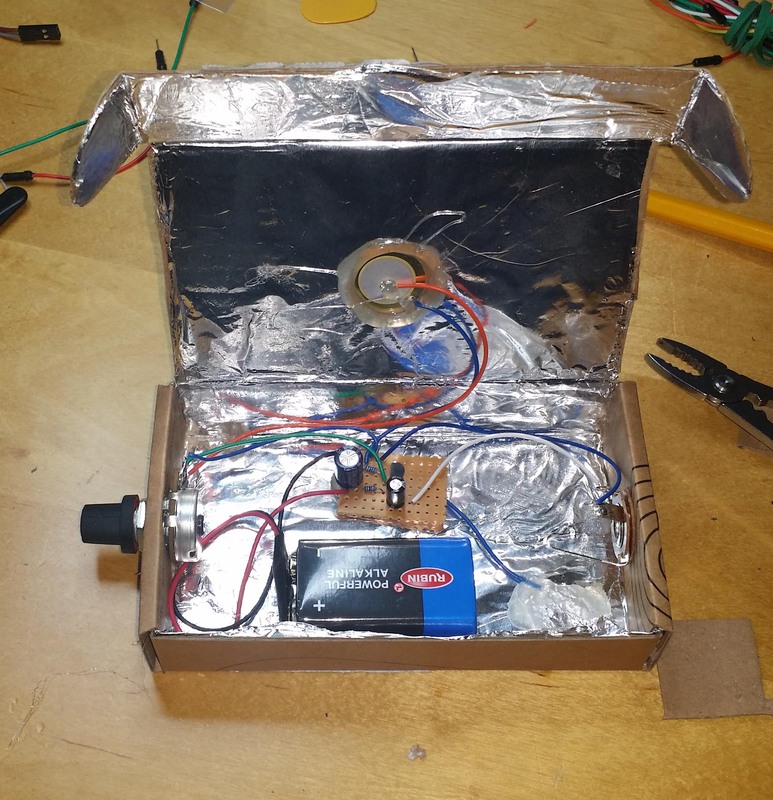 After that, I closed the box again, cut the excess tin foil, cut a hole for gluing the piezo element and hot glued all the components in place. Oh, I have also soldered the circuit on a piece of perfboard. Finished cardboard box. The battery is hold in place by a magnet, and the blue wire under the hot glue blob in the bottom right corner connects GND to the shield. There’s a good laser cutting service in my city, so I decided that was the way to go. I designed a box made from 5mm thick MDF. I am not very expert in this. Easy inspection (top board fixed with screws and nuts in t-slots). 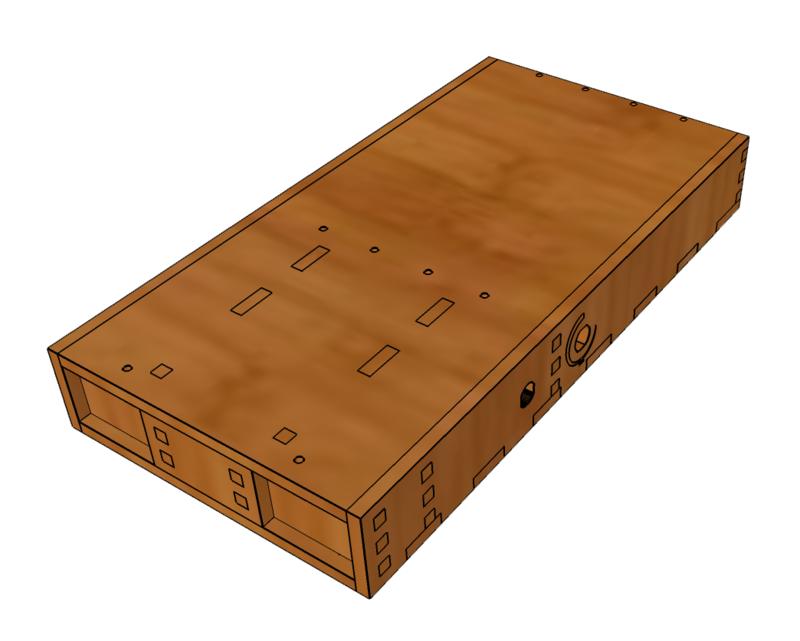 SketchUp model of closed box. I tried to make the “heel” side more robust with a few cross-elements, while leaving the “toe” side more free, like a resonant box. 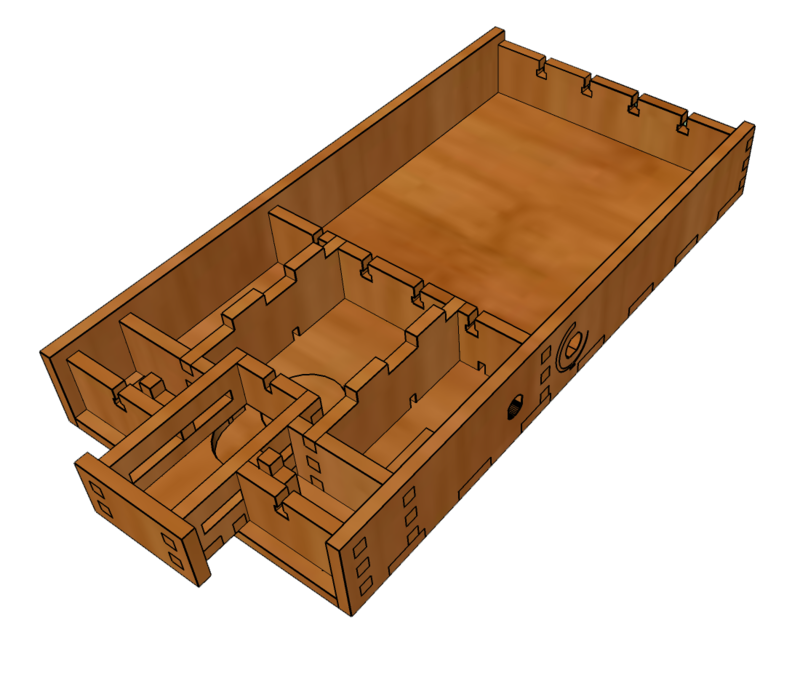 SketchUp model of open box. 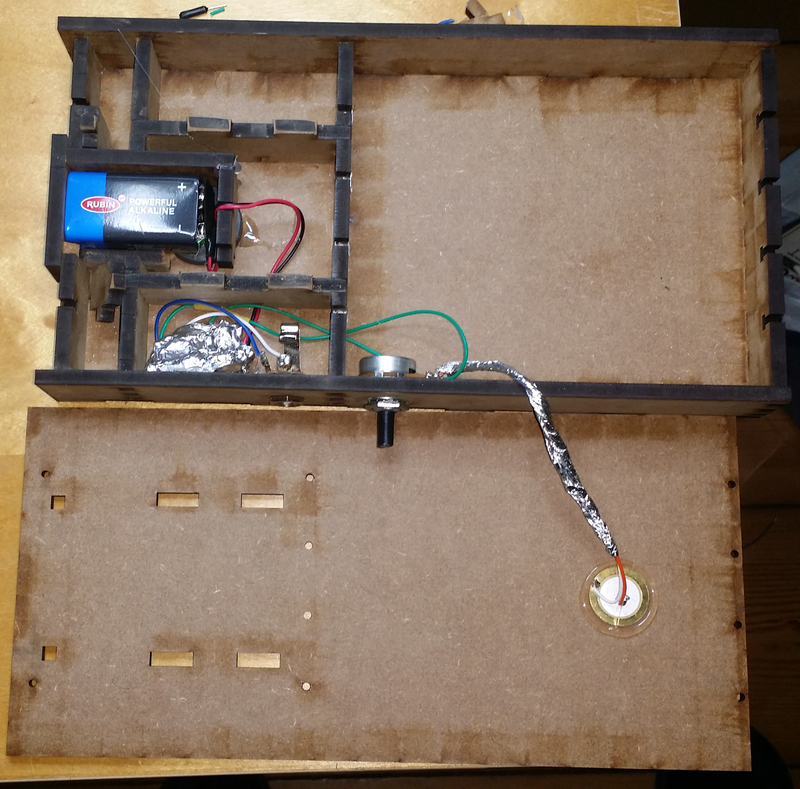 You can see the 9V battery drawer with the round cut for the magnet to keep the battey in place, the T-slots for the square nuts and the holes for the volume knob and the output jack. The lower part is all press-fit, while the upper board is fixed with screws, for easy removal. #5 Create the cut layout, send it for cut, wait and… Assemble! Here you can see how it was before closing it. I have shielded almost everything by wrapping it in tin foil. 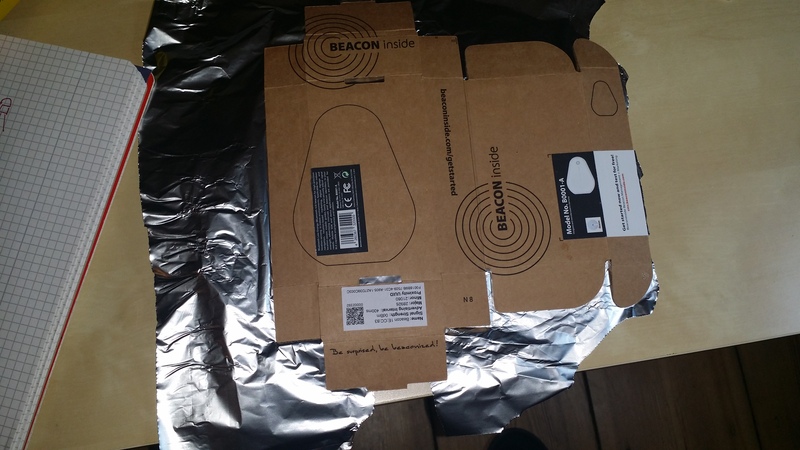 Eventually, I have enhanced the shielding by wrapping everything in tin foil, pots included, but the tin foil is really fragile. At the end I bought a proper shielded cable and sent the noise (almost) away. But still, I was not very satisfied about the sound. It sounded more like a click, instead of the punch of a kick drum! But as I have heard in many videos in Youtube, it’s a common feature of stomp-boxes with piezo pick-up. The piezo pick-up is a contact microphone. 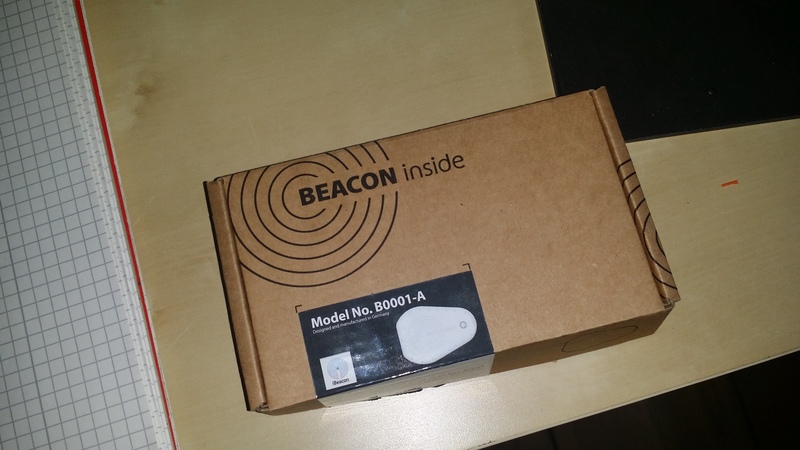 That means that, unlike a microphone in a box, it doesnt pick up the vibration of the air inside the box, rather it picks up the flection of the panel itself. That is a pretty dry sound, because it is not caused by the vibration of the air inside the box volume, neither by waves travelling through the large membrane of a drum. It’s simply the flection of the panel, returning quickly to its original position. a spring reverb, an electro-mechanical device used in old-style guitar amplifiers. There is a power amplifier which drives the drive speaker. The movement of the drive speakers induces vibration in the spring, and this vibration is picked up by other pick-ups, with additional wobbling which sounds like echo (or water, most of the times). 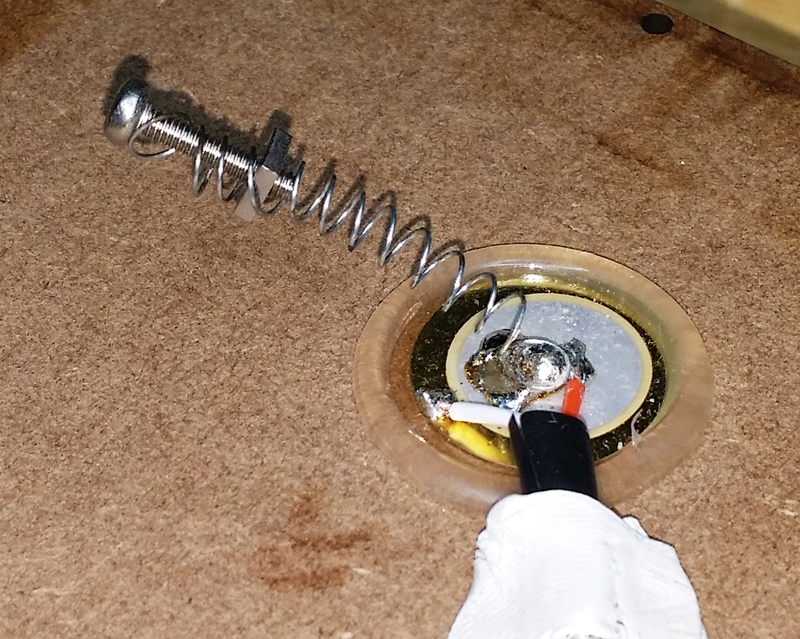 I didn’t need any other pickup for the waves in the spring: the piezo pickup transduces its own traction and compression, so it’s enough to apply the wobbling of a spring on the other side of the element. I have soldered the spring of a pen on the back face of the piezo element. That is a very rigid connection, so it’s perfect for transmitting the vibration. Then I have attached the stompbox to the amplifier and I have started knocking on the other side, to hear what sound it was producing. Adding dampening elements, like inserting pieces of cloth or Kleenex in the spring, shortens the time of the reverberation. In this recording there are some taps recorded holding the spring, and some with the spring left free. You can’t hear any difference with laptop loudspeaker, you need to hear low frequencies with headphones or big speakers, and the effect is very subtle. I have tuned the sound a bit more after this recording and I have to say, with the bass amplifier it sounds really cool! There is a first very loud peak and after that the rest of the sound (the reverb) is very low. So I must keep the volume of the amplifier low enough to not distort, and I won’t hear anything else. But if I “cut” the sound where the two red lines are, I can use more volume thus enjoy more reverb. That means that after 0,7V of amplitude the sound is gently reduced, allowing me to use more gain on the external amplifier.